“Pure Christianity” is the gospel of Jesus Christ as He taught when He walked on the earth. Jesus Christ organized His Church, called and ordained apostles and taught the ordinances needed to return to live with God. (See Matthew 10:1-10.) If “pure Christianity” is the Church as organized in Christ’s day, how can Mormons—or members of The Church of Jesus Christ of Latter-day Saints, sometimes inadvertently called the Mormon Church—claim to teach pure Christianity? There are thousands of Christian churches on the earth today. Although many churches have similarities in beliefs, there are also a number of differences in doctrinal teachings. Nephi, an ancient American prophet whose teachings are found in the Book of Mormon—which is another testament of Jesus Christ and a companion scripture to the Bible—said concerning the Bible that “the things which were written were plain and pure, and most precious and easy to the understanding of all men” (1 Nephi 14:23). But, Nephi said, “There are many plain and precious things taken away from the book (1 Nephi 13:28). The doctrinal differences of churches today stem from the various interpretations of the Bible—which are a result of the “plain and precious things taken away” from the Bible. How does this happen? Elder Dallin H. Oaks, a member of The Quorum of The Twelve Apostles of The Church of Jesus Christ (along with the First Presidency, the governing body of the Church), illustrates how information is lost through time. He tells the story of a once great ancient city that had been buried by desert sands and eventually “forgotten for hundreds of years” before being unearthed in modern times. Discoveries like this contradict the common assumption that knowledge increases with the passage of time. In fact, on some matters the general knowledge of mankind regresses as some important truths are distorted or ignored and eventually forgotten. For example, the American Indians were in many respects more successful at living in harmony with nature than our modern society. Similarly, modern artists and craftsmen have been unable to recapture some of the superior techniques and materials of the past, like the varnish on a Stradivarius violin. Following the death of Jesus Christ and His Apostles, there was a “falling away” from the fullness of the gospel as teachings were distorted and changed, and some “plain and precious” parts of the gospel were lost. 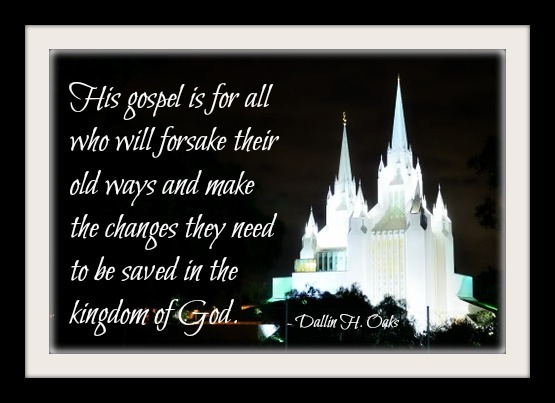 With this falling away, priesthood keys were lost, and some precious doctrines of the Church organized by the Savior were changed. 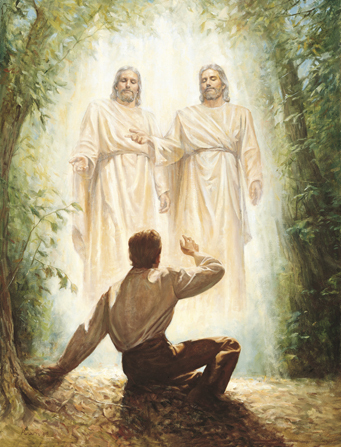 Among these were baptism by immersion; receiving the Holy Ghost by the laying on of hands; the nature of the Godhead—that They are three distinct personages; all mankind will be resurrected through the Atonement of Christ, ‘both … the just and the unjust’ (Acts 24:15); continuous revelation—that the heavens are not closed; and temple work for the living and the dead. The period that followed came to be known as the Dark Ages. “The Great Apostasy,” as it is called in The Church of Jesus Christ, is the time following the death of Christ’s Apostles when the fullness of the gospel—including the priesthood (defined as the power and authority to act in God’s name)—was no longer on the earth. The work of religious believers during the Christian Reformation period, such as translating the Bible into the languages of the common people, helped to pave the way for the Restoration of The Church of Jesus Christ of Latter-day Saints. A reformation is a reforming, or changing, of the way in which something is done. A restoration is to restore, or to bring something back. Although the Reformers saw the need and tried to bring back the fullness of the gospel of Jesus Christ, they lacked the power to do so. There are a couple of shows on the History Channel where men restore items to their former glory—old cars, vending machines, etc. Before the men can restore these items, they have to prepare them by sanding, buffing and scraping off the old paint. They also have to check to see which parts need to be replaced and which are still in working order. All of the components must be in place before the restoration can occur. It was the same way with the Reformation and Restoration of the gospel. While the Reformers lacked the power from Jesus Christ to restore the fullness of His gospel, they saw the need and helped to prepare the way for the Restoration. Their efforts and sacrifices helped to bring about the full Restoration of the gospel. While this great ferment was stirring across the Christian world, political forces were also at work. Then came the American Revolutionary War, resulting in the birth of a nation whose constitution declared that government should not reach its grasping hand into matters of religion. A new day had dawned, a glorious day. Here there was no longer a state church. No one faith was favored above another. After centuries of darkness and pain and struggle, the time was ripe for the restoration of the gospel. The scriptures teach: “Surely the Lord God will do nothing, but he revealeth his secret unto his servants the prophets” (Amos 3:7). During the time of the Great Apostasy, there were no prophets on the earth. The heavens were closed, so to speak, without a living prophet on the earth with whom God could communicate His will for His people (although personal revelation and inspiration continued in all ages). 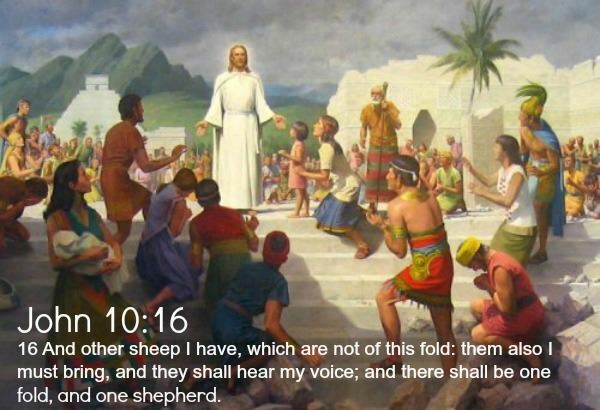 The scriptures tell us how the Lord calls and speaks to His prophets. In 1 Samuel 3:2-10, the boy Samuel is living with the prophet Eli. Samuel is asleep and hears a voice calling his name. Believing it to be Eli, Samuel goes to the prophet and says, “Here I am.” Eli tells Samuel to go back to bed because he didn’t call him. So Samuel goes back to bed. This happens two more times. The third time, “Eli perceived that the Lord had called the child. Therefore Eli said unto Samuel, Go, lie down: and it shall be, if he call thee, thou shalt say, Speak, Lord; for thy servant heareth. So Samuel went and lay down in his place. And the Lord came, and stood, and called as at other times, Samuel, Samuel. Then Samuel answered, Speak; for thy servant heareth” (v. 8-10). The Lord spoke directly to Samuel, called him by name, and instructed Samuel in what he was to do. In 1820, a young boy named Joseph Smith had a similar experience. “The heavens had been closed for centuries,” President Faust said. On a spring day in 1820, 14-year-old Joseph Smith went to a grove of trees to kneel in prayer and ask Heavenly Father which church he should join. What followed is called, in The Church of Jesus Christ, the First Vision, where the boy Joseph saw two heavenly personages appear to him, call him by name and give him instructions. Then came the First Vision. An unschooled boy, seeking knowledge from the ultimate source, saw two personages of indescribable brightness and glory and heard one of them say, while pointing to the other, ‘This is My Beloved Son. Hear Him!’ (Joseph Smith—History 1:17.) The divine teaching in that vision began the restoration of the fulness of the gospel of Jesus Christ. God the Son told the boy prophet that all the ‘creeds’ of the churches of that day ‘were an abomination in his sight’ (Joseph Smith—History 1:19). We affirm that this divine declaration was a condemnation of the creeds, not of the faithful seekers who believed in them. 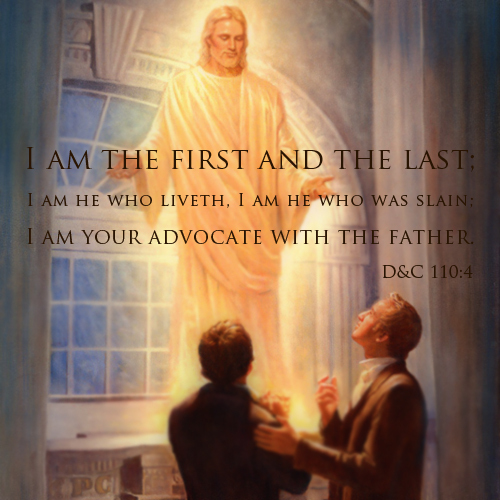 Joseph Smith’s first vision showed that the prevailing concepts of the nature of God and the Godhead were untrue and could not lead their adherents to the destiny God desired for them. We believe The Church of Jesus Christ of Latter-day Saints is a restoration of the original Church established by Jesus Christ, which was built ‘upon the foundation of the apostles and prophets, Jesus Christ himself being the chief corner stone’ (Ephesians 2:20). It is not a breakoff from any other church. Mormonism Answers: Revelations about the Afterlife Our Scars As Badges of Honor and Beauty The Blessings of the Mormon Priesthood in My Family What is Mormonism?